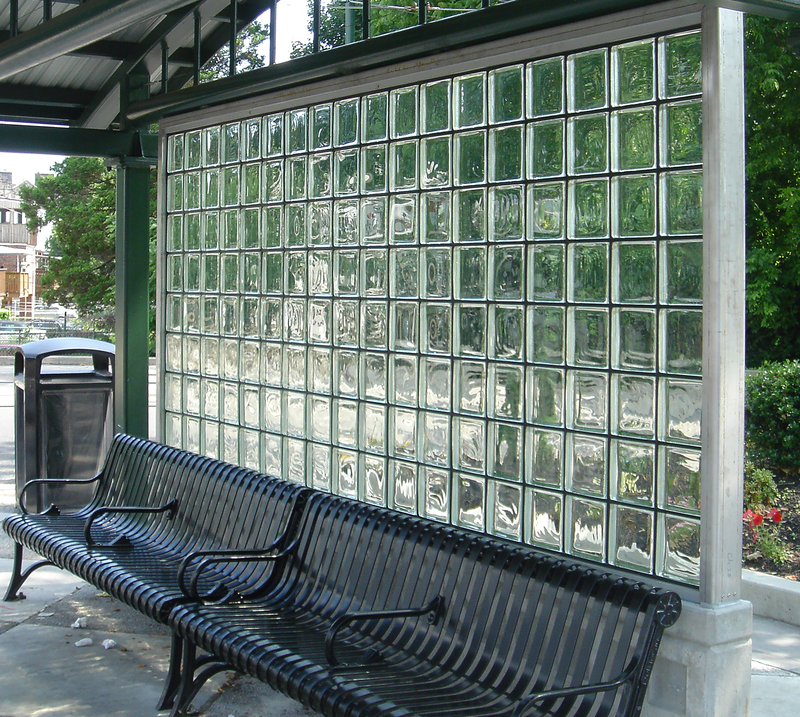 Engineered for ease of installation and convenient maintenance in transit applications, EXTECH/Exterior Technologies, Inc. (EXTECH) offers its GRIDLOCK® glass brick wall system. The system's patented grid design allows 2-inch-thick solid glass bricks to "snap in" place without the need for mortar, sealants or adhesives. The system adapts to various opening sizes including long structural spans. "GRIDLOCK's proven performance withstands heavy use by commuters and adjacent traffic in all types of weather. Its durability also contributes to its versatility, including architectural and interior wall applications," said Jim Leslie, general manager of EXTECH. Demonstrating the system's low maintenance, EXTECH's lightweight, prefabricated aluminum frames feature no exposed fasteners. Unlike mortared systems, these fully gasketed joints will not deteriorate, effloresce, collect dirt or discolor. "With no ledges to collect dirt and debris, and superior graffiti resistance, cleaning requires a simple pressure wash," noted Leslie. He continued, "GRIDLOCK glass bricks are nearly unbreakable. In the event that a brick breaks or is otherwise vandalized, the damaged brick can be removed easily and safely, and the facility's staff can install a new brick by snapping it into place." Validating its vandal-resistance, glass bricks successfully passed a ball drop test, where a 4-inch 4.060-pound, solid metal ball is dropped 54 inches directly on the solid glass brick without visible or structural damage. GRIDLOCK presents clean, narrow sightlines that enhance daylighting and visual security goals. 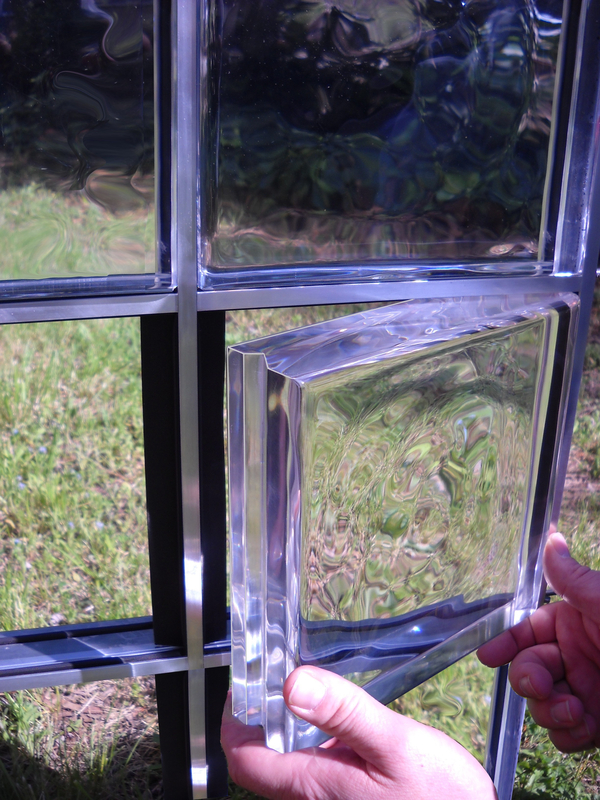 Glass brick options include clear, etched or back-screened (painted). The system's aluminum framing members can be anodized or painted in numerous colors. In addition to its GRIDLOCK glass brick wall system, EXTECH's other standard transportation-focused systems include: CLEANWALL® porcelain wall panel systems; KINETICWALL® dynamic façades; SKYGARD 3300® and 3700® skylights; SKYSHADE 2500®, 3100®, 3700® and 8000® canopies; and TECHVENT 5300® windows for transit shelters, pedestrian walkways, protective windscreens and parking structures. All of EXTECH's systems are manufactured in Pittsburgh and are compliant with the "Buy American" mandates Fixing America's Surface Transportation (FAST). To order a sample and learn about EXTECH's GRIDLOCK, please visit the product webpage. For more information on EXTECH's products and services, please call 800-500-8083, email info@extechinc.com or visit https://EXTECHinc.com.